Whenever you’re in a new place with a rugged landscape, there’s no better way to explore it than by taking an off-road adventure. You can rent a ride and head off into the great wide open on your own, but we highly recommend taking a tour. This way, you don’t have to worry about anything but you’re own enjoyment. Here are six places that are great for going on an off-road adventure. Southern Utah is filled with outdoor adventure and some of the most spectacular landscapes on the planet. Moab and Kanab are some of the most popular places to embark on an off-roading tour. Consider Dan Mick Jeep Tours in Moab and Dreamland Safari Tours in Kanab where the geologic settlement and water erosion have created wavelike features in the rock. In Arizona, it’s not hard to find open space. Cruising past buttes and towering Saguaro cactus is truly a dream. To take it a step further, venture into any of the numerous mountainous regions that line the desert. Desert Wolf Tours in Scottsdale has just what you’re looking for in Scottsdale. From there, you will venture into the Sonoran desert for some of the most dynamic terrain in Arizona. Nevada is another state with a whole lot of desert, making your options for off-road adventures seemingly endless. Numerous tour companies operate out of Las Vegas, offering all kinds of variations on the theme. Consider Zero1 Desert Adventures out of Las Vegas. 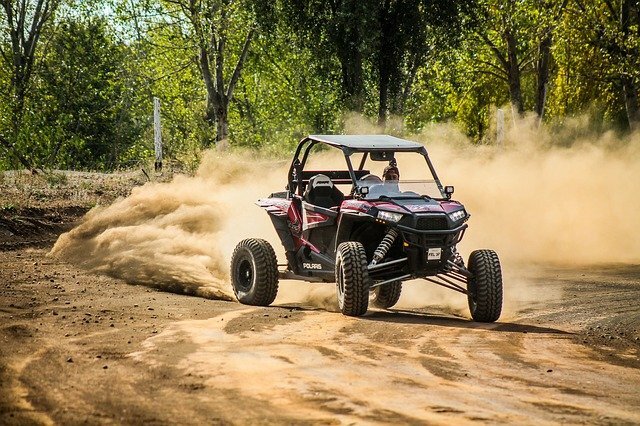 Here you can rent a Razr, one of the most popular ways to cruise off-road. You can also compete and learn how to off-road race with this outfit. In Colorado, you’re getting into the high desert. Here the terrain gets more mountainous and you’ve got the seasons to contend with. At Sage Outdoor Adventures in Vail you can drive side-by-sides off-road in the summertime as well as ride snow-machines in the winter time. They also offer water whiter rafting, sport shooting and fishing tours, in case you ran out of things to do. What better way to explore the land of enchantment than by off-road vehicle. Try New Mexico Jeep Tours in Albuquerque and Santa Fe. Choose from a mountain vista tour or a mesa tour. Here you’re likely to see wild horses left over from the Spanish presence in the 1500s, pottery shards and petroglyphs from ancient people and geological features that spark the imagination. The Hawaiian islands were made for off-road adventures. This extremely rugged and wet terrain requires 4-wheel drive and a hearty sense of adventure. Perhaps the best island for off-roading is Kauai. The least developed island, Kauai is known for its steep coastline, filled with waterfalls, deep canyons and beauty. Take a look at Kipu Tours, which offers off-road tours on 3,000-acre Kipu Ranch. This privately-owned cattle ranch is unlike no other as it’s loaded with rich history and amazing landscape.